Silk tops, feathered dresses, and statement shoes. These are some of the things you will see racking up the shelves this new year. 2019 is the year of defining fashion. It's always useful to know what you’re starting the new year with and what you should leave in 2018. There are new trends bubbling up and even past trends making a comeback in 2019, and it's safe to say that this new year is giving us nothing but chic fashion. 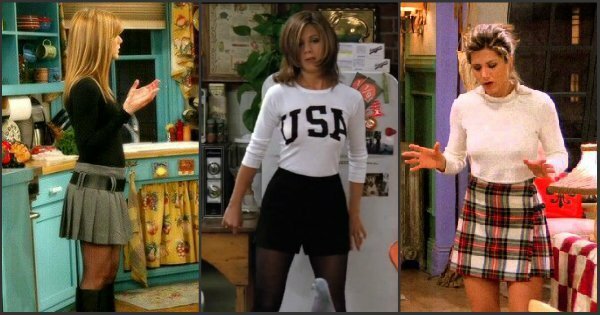 Rachel Green created the trend of the mini skirt, wearing her chic black skirt while bussing tables at Central Perk. These skirts are versatile as they can go with anything, from graphic tees to elegant tops. You can dress it down or dress it up and still look fashionable. Add some Converse shoes and you’ll create the perfect casual look, or booties for the complete look of a fall favorite. Known as “Mom Jeans,” rib cage jeans will become all the rage in 2019. This trend is especially for fashion forward people who are looking to create an elegant yet casual look. These jeans are tight at the top and then mid-thigh start to flare out, resembling bell-bottom jeans in a new, modern way. 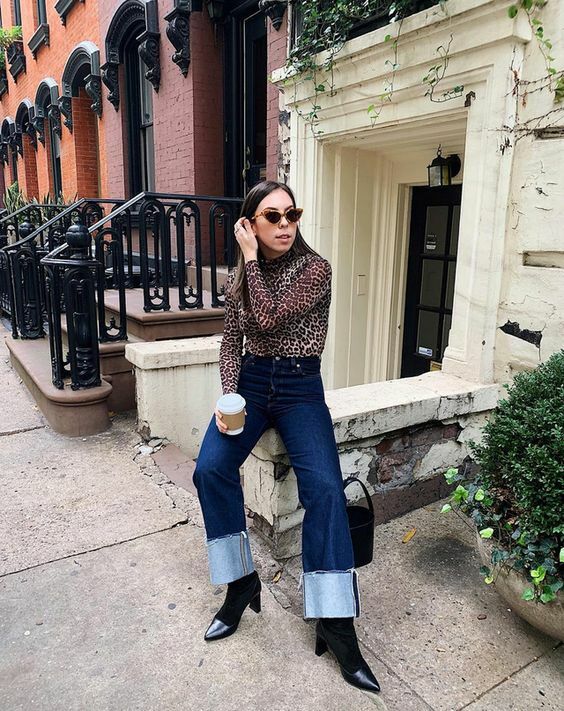 Pair these jeans with an animal print bodysuit or a tight crop top and you have officially rocked the look. Leather has branched out, going from outerwear to casual day wear. The leather pants have been worn from top model Cara Delevingne to British songstress Cher Lloyd. Leather will take over the fashion industry, but not just with the classic black. According to Elle, browns, fiery reds, and white will be the "it" colors of the new year. And a chic way to pair leather pants is with another new fashion favorite: silk. These tops can go with anything and make your outfit look cute with a hint of laid back. According to Insider, there is a wide-ranging selection of these tops at, luxury retailers, like Bloomingdales and Nordstrom. You can even find some at Forever 21! Sneakers have finally been accepted to the fashion scene, easily replacing ballet flats and heels. This year statement sneakers are the new mode. Gucci, Fendi, and Chanel are few high-end stores that have come out with these sneakers stamped with their logo. These eccentric sneakers will definitely give you the “pop” you need. 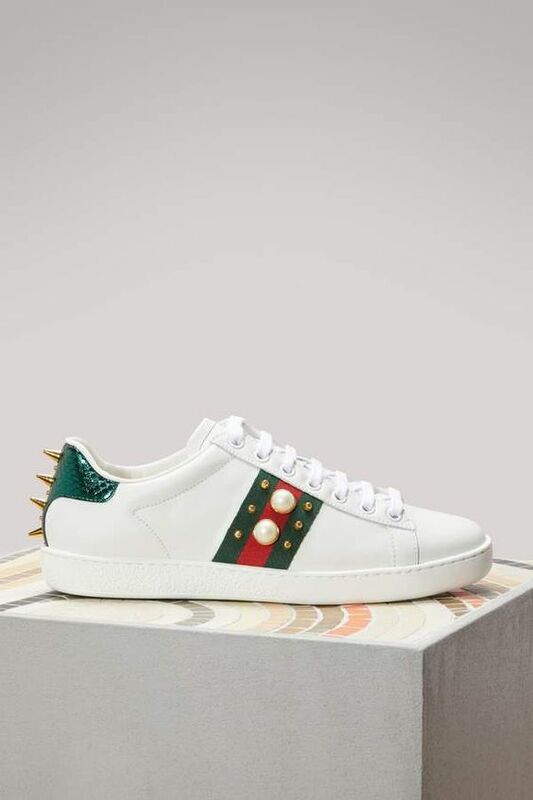 According to Vogue Paris, the search for these sneakers has gone up by 2211 percent. Feathers are also on the spotlight. Many people have already been seen sporting feathers, but you will soon see dresses with that fashionable, yet elegant touch. Kendall Jenner started the trend when her dress was sold out. The LPA Aurora dress can be used whether to a fancy dinner or an awards ceremony. Add some black strappy heels and you’ve completed the look. These are some of our favorite new year trends. This year is all about finding yourself. Get your statement shoes, feather dresses and more, and show your inner fashionista!